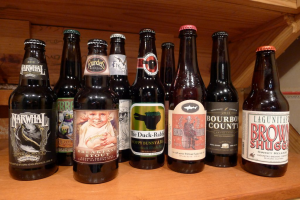 A small article appeared this month in the Washington Post—What your company can learn from the rise of craft beer—that struck a chord with me. It pointed out that craft beer sales took off during the recession, growing 17.2 percent while overall beers sales fell 1.9 percent. This growth was fueled by the ambitions of entrepreneurs who relied on two fundamental characteristics: innovation and collaboration. As 2014 draws to a close, I think about the opportunities and challenges that small businesses face in an increasingly unsettled world. Nexight Group started business in June 2010, when U.S. private investment as a portion of GDP fell to its lowest level in more than 40 years. Every signal indicated it was a bad time to start a new business. Yet, Ross and I believed we could offer clients a new way to tackle difficult problems that relied on collaborative approaches and innovative techniques that larger firms were missing. Since 2010, our revenues have grown at an annual compound rate of 30 percent. There are strong parallels between the lessons of craft beer’s success and the early years of Nexight Group. Below is our take on these lessons. Don’t follow the big guys: Although there is much to learn from big consulting companies, they are often boxed in by their own business practices and cost models. Our small size gave us the freedom to propose tailored approaches to client problems that contrasted with the cookie-cutter approach used by our larger competitors. Highlight the “friendly” in friendly competition: Working with partners is a key part of our business strategy. Small business must rely on complementary capabilities and skills to take on big projects and fill gaps with specialized talent. This year we partnered with universities and technical societies that resulted in three successful proposals to develop roadmaps for NIST’s Advanced Manufacturing Technology Consortia Program. Do what you love: We can’t always choose which projects we work on, but we are always looking for technology and policy challenges that match up with our skills and our passions. For example, we recently won a contract to conduct strategic training for USDA’s National Organic Program that provided such a match. Look ahead: Craft breweries are always experimenting with new ingredients and methods; we do too. We often find that commonly-used planning methods are not the best for solving tomorrow’s tough problems. We spend time looking over the horizon to anticipate future business and societal needs and provide innovative planning approaches and project designs that will fit. Small companies face an uphill battle in the consulting business. Many customers seek the comfort of brand name firms even if they have a track record of disappointing results. Yet small firms like Nexight Group are often more innovative, nimble, and responsive to change. Like small craft breweries, we bring new ideas to forward-thinking customers and transform old business approaches to achieve superior results.